1. 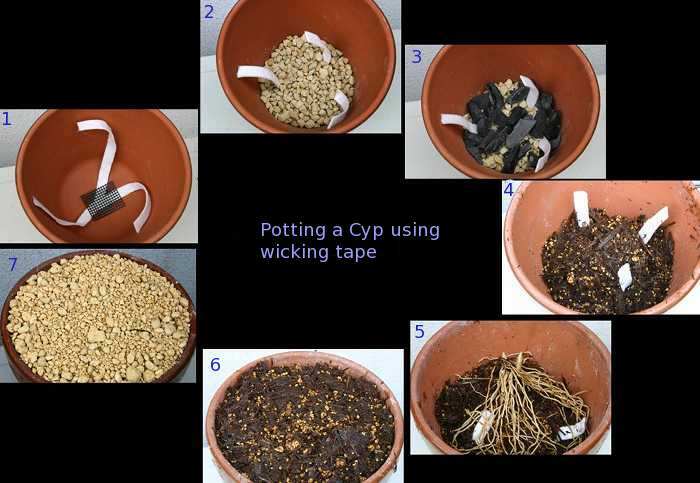 To allow water to migrate upward into the growing medium, horticultural wicking tape is cut into three strips from 12-16 cm in length (depending on the size of the pot used). Lace the strips through the drainage hole with at least 6 cm of the strip below the hole (Figure 2). Cover the hole with mesh if desired. 2. Drainage material is put on the bottom of the pot with the wicking tape projecting out from it and evenly spaced. 3. A layer of natural charcoal is placed on top of this – activated charcoal is probably best, but I use a product intended for BBQ use. This may help to keep the compost clean of toxins. Figure 2: the wicking tape should extend for at least 6 cm beyond the drainage hole. 4. In the middle of the pot form a small mound of your desired compost. I usually use a mix of Cryptomoss and pumice (perlite is fine too) in a ratio of 2:1. Put a bit more compost around the edges of the pot and be sure the wicking tape is still sticking out around the base of the mound. 5. Place the root stock over the mound, splaying the roots out in an even manner. 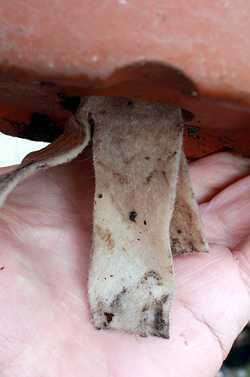 It is OK if the wicking tape makes contact with the roots – some of them will even grow through the tape. 6. Carefully fill in more compost around the root stock and tape. The tape should be positioned around the root stock such that it points upward toward the top of the compost. That will allow the water to wick up around the plant and towards the uppermost part of the pot. 7. Put a layer of pure inorganic material light in color such as pumice or river sand as a top dressing. White colored gravels intended for aquarium use are fine for this too, but don’t make them too deep, a centimeter or so is all that is needed. This will keep the compost below protected from drying and reflect sunlight as well, thus helping to keep pot temperatures cooler. 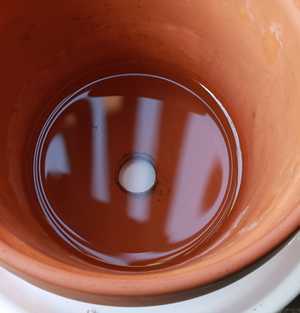 Figure 3: the outer clay pot is placed in dish of water. The inner growing pot is placed inside this pot with the wicking tape dangling into the water below. 8. A second pot of the same size is placed in a relatively deep dish of pure water (Figure 3). The pot with the plant is placed into this pot (Figure 4). The wicking tape should be free to dangle into the water. It is necessary to keep the dish filled with water at all times. If the water level gets too low or dries out, the inner pot will dry since the wicking process will stop, and pot temperatures rise. 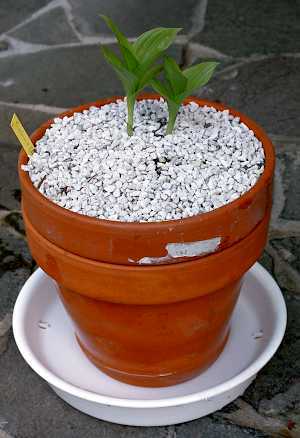 The pot should be placed in a proper growing area – bright light, but avoid sunshine since pots in sun heat up fast. Humidity levels should remain high to ensure the plant’s health – Cyps do not like dry air, especially hot air. Fertilize from above with liquid applications every week or so. First, I take the growing pot out of the outer pot to fully flush it with lots of pure water – this helps reduce the build up of salts in the compost. Then I water with the fertilizer water. After the pot is fully drained, it is placed back into the outer pot. It is best to use a very dilute rate, but to fertilize weekly, from flowering time through early July, and discontinuing during the depths of summer’s heat. So does this really work – well, yes, it does, but just barely in Japan’s hot, humid summers. Evaporative cooling is of course most efficient in dry, hot conditions which are antithetical to Cyp health, a fact diametrically opposed to the way this pot works. I’m not sure how to balance these two issues, but a balance must be reached. In the hottest weather I place the pots under azaleas in the open garden with ferns as companion plants. This seems to work pretty well. Plants in exposed positions, especially near stone or concrete, have suffered more during hot weather. Figure 4: the entire set up showing the inner pot tucked into the outer pot as well as the dish below serving as a water reservoir. In the heat of southern Japan it is also necessary to repot every fall. This is done in November when the plants are fully dormant. Any dead tissue is carefully removed and if a plant looks stressed, it is given a fungicide bath for at least 10 minutes before replanting. The Cypripedium macranthos shown in the article on Cypripedium health was grown using this technique, so I think this method is a viable way to grow Cyps, albeit not perfect. 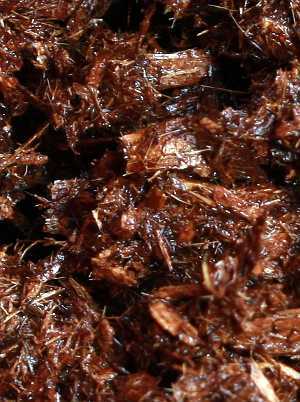 There are less strenuous variations on this method, for instance placing a plastic pot inside a larger clay pot with sphagnum moss filling the void between the plastic and clay pots. This not only keeps the inner pot cooler, it also adds to the humidity level near the plants. I’ve used this method to grow C. macranthos seedlings for many years. For a while I had abandoned trying to grow Cyps in pots simply because I’d had more success with elevated beds in a woodland garden (see the article on growing Cypripediums in a hot climate). I’ve recently been moving back to pots due to problems with controlling fungus and bacterial rot in the open garden however. Cyps aren’t easy plants to grow even in good conditions, and they are a super challenge in the heat of southern Japan. 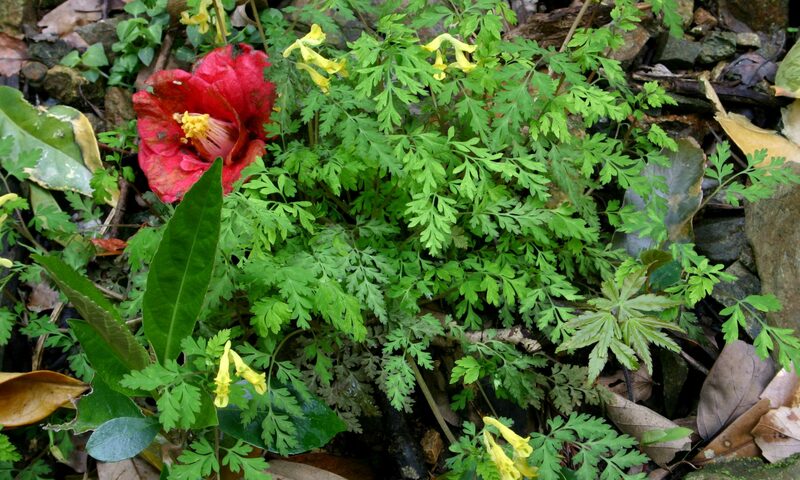 The pot in pot cooler is one way to try to coax cool-loving temperate plants into growing in a hot climate. If you are one of those “zone challenged” folks who have to grow plants not exactly suited to your conditions, by all means give it a try. It is an interesting journey, but don’t expect it to be labor free nor completely successful. Darc has been sending me the links to your videos and I enjoy them immensely. It’s great to see the natural habitat. I just finished reading your double pot method for growing Cyp and you mentioned that you’ve switched to using raised beds. I’ve had marginal success with Cyp in raised beds but great sucess with pleiones. The mix is completely inorganic (mostly Turface, Perfector, perlite). I’m growing several species and hybrids and end up with plump pseudobulbs come fall. They will be brought into the basement fridge for the winter in the next week or two before we get our first freeze. I haven’t given up on Cyps, just taking a break. Long time since we last talked. I hope all is well with you. I’m glad you are enjoying the videos. To be honest, I’ve had marginal success as well with most Cypripediums here regardless of what method I use. Like you, I live in a place that is just too hot in summer and barely cold enough in winter to vernalize most species. Agreed on the Pleione as well – they do much better for me than Cyps. My best luck so far has been with C. formosanum and C. japonicum. C. Gisela (macranthos x parviflorum) does OK too, but is slow to increase whereas in colder climates it is a near weed. Like you, I’ve backed off Cyps for now, but I love them too much so will likely try a few more in the future. Just found your post. Are you saying the pot-in-pot did not work? I’ve been thinking of setting up a zeer system to allow me to grow some zone 9 berries in zone 10. I’m just starting to build mine and wanted to see what sort of success others have had. Well, I would say the method I’ve used as outlined in the article has been a success, but not a roaring one. Mind you, I’ve not worked terribly hard at it either. To make this system work optimally, I’d use fans on the pots (not plants) to increase evaporation. A true zeer pot is actually like a refrigerator – more or less a closed system – my technique is not. A true zeer would demand a much larger outer pot filled with substrate (sand is good) that is completely saturated. The next big issue is closing off the top of the pot with some kind of wet cloth. The trick is how do you do that with a plant? Remember, the surface of the outer pot has to remain exposed to the air and the covering cloth has to be kept moist at all times for it to work. That is tough to do continuously. Here I need to keep pots cooler from July through September, so keeping a true zeer pot system going I’d have to rig an automated set up, something I’m not willing to do. Berries? What kind are you growing? If they are fairly large then consider making a polly tunnel large enough to house them, but small as possible, and then use a swamp cooler set up (sometimes called a wet pad cooler). Google it and you can see how it works. Essentially you are blowing air through a large pad dripping with water and that drops the temperature in a closed greenhouse situation. Good luck! I want to try my hand at Black Currants and a real challenge Lingon Berries. I found a variety of Black Currents “Tseme” that supposedly will grow in zone 9. So my challenge is not only summer cooling but creating “chilling hours” under 45 of significant quality to induce blooming. I’ve tested a zeer in my back yard as a cooler but not with soil. I’m nervous about keeping the cover wet and am thinking of trying a plastic lid over the cooling. In my effort I used two different sized pots and playground sand in between them (about 1 inch). I plan on using my air conditioning condensation run off as my “free” water source. I approximately get 5 gallons a day. Good idea on the swamp cooler. Had not thought of that. Fortunately my A/C is mostly shaded and I might be able to build one there. My goal is to do this “with technology but minimal investment.” So no refrigerated green house, but a swamp cooler with a solar powered fan might be an interesting option. If you’re interested I can keep you posted on my results.